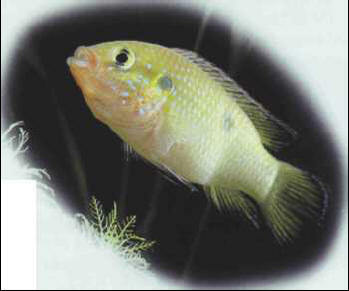 Several related species are sold under the name of crown-jewel cichlid, the feral varieties having a more marked red coloration. The male will defend its territory vigorously; the female lays up to 500 eggs on a suitable surface, with the fry swimming within a week. Size: 10 cm. НЭП , см. Новая экономическая политика.